If your business currently relies on a traditional PBX phone system, it’s time to consider a change. You and your employees already rely heavily on the internet, so switching to a VoIP caller system makes sense. VoIP systems require almost no special equipment and can offer you substantial savings each month. They are simple to use and require no awkward transition phase. Your bulky PBX system did the job, but you can replace it with something easier and better. A traditional PBX (private branch exchange) phone system is a private exchange installed in your company that allows your employees to communicate internally and with the outside world. You enjoy all the basic phone functions: call forwarding, voice messaging and transfers. The phones require internal lines and the installation of bulky and expensive equipment. Calls between users on the system are free, but the initial installation cost and routine maintenance often makes it an expensive system to have. A great alternative to this traditional internal phone network is the VoIP system. 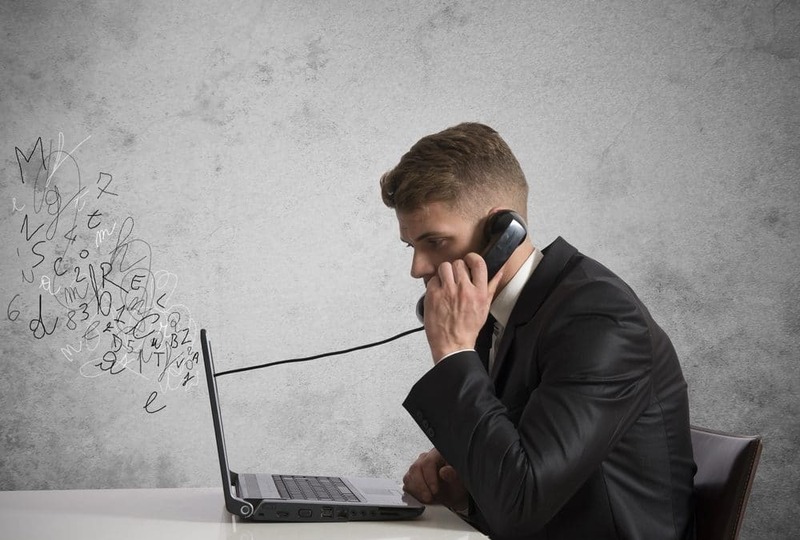 A VoIP system (voice over internet protocol) offers businesses some important benefits. Since the system relies on the internet, you don’t have to purchase extensive equipment. Your VoIP can function using your traditional phones, requiring only that you purchase affordable adapters. You can quickly set up an account online, paying a reasonable set-up fee and small monthly service charges. Your current internet system does not have to be changed. The entire process is user friendly, so you can switch your business to a VoIP without days of disruption. Unlike a PBX system, a VoIP allows you to easily add more phone numbers and telephones. Your capacity is limited only by your bandwidth. You aren’t limited by your initial equipment purchase. Simplicity and low cost are two of the VoIP system’s biggest advantages. A VoIP used in conjunction with a power dialer is a excellent and powerful outbound call management solution. The beauty of the system is its reliance on the internet, which literally cuts the cord from your old phone operation. Of course, that also gives some managers pause. You may worry about internet outages that would leave you unable to communicate with your customers. With reliable internet service, this problem should rarely occur. Also, messages would be relayed and stored at a message center until power was restored. As a precaution, you could keep one landline in the office for those rare occasions when your internet might go down. However, if your internet system work well for you now, you are a good candidate for a VoIP. Voice quality concerns have deterred some businesses from making the change to VoIP, but these systems have evolved. Achieving excellent call quality with VoIP is not a problem. Simple solutions such as a special VoIP router, high quality Ethernet cables and high-quality headphones can enhance call quality and require only a small financial investment. A good internet connection and minor equipment enhancements make VoIP calls clear and reliable. If your company is relying on a traditional PBX system, you need to investigate the benefits of a VoIP phone system. Your company will gain an affordable and reliable system that requires almost no investment. The large and costly PBX equipment can be removed, giving you more actual office space and freedom from frequent, expensive maintenance. For years, businesses have made the move to internet-based sales, record keeping and even lead generation. The internet is now your best option for transmitting phone calls. Regardless of what type of phone system you use currently, Call Logic auto dialing software will save you time and help you close more deals.